Logitech’s latest packs in an onboard processor and a lot of speed. 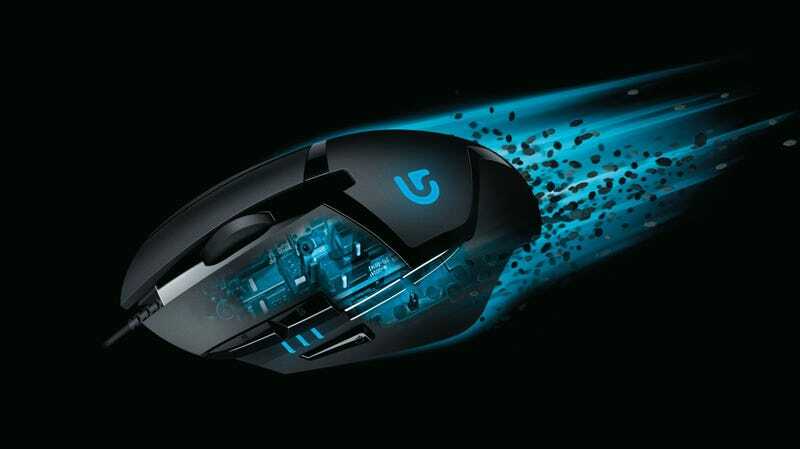 Billed as the “world’s fastest” gaming mouse, the new Logitech G402 Hyperion Fury Gaming Mouse boasts an IPS (inches per second) of 500. The G402 inherits a lot of aesthetics and ergonomics from the Logitech G502 Proteus Core we recently wrote about, though compared to the Proteus and wireless G602 cousin, the G402 looks downright stealth. Rather than packing in features, the G402 strips out the adjustable weight option, dual-mode scroll wheel (and its tilt function), customized lighting, 3 buttons, and two thirds of the max DPI of the G502. The trade off is getting that 32-bit ARM processor which also lets the G402 store profiles right on the mouse, and a 20% cheaper price tag.